You are here: Home / Tips & Tricks for Fussy Eaters / Best Vegetarian Recipes for Kids! 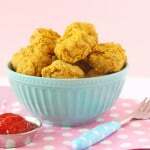 The Best Vegetarian Recipe for Kids! If I had to play the word association game some years ago and I was given the word “vegetarian”, my immediate response would have been “nut roast” , “boring”, or “ewwww!”, but that’s simply not the case these days. Whether your family is full blown Vegetarian or you are trying Meat Free Monday’s for health or economy reasons (see my previous post about eating healthier for less), vegetarian recipes have come a long way over the years! 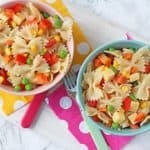 As per NHS guidelines, vegetarian diets are safe for children of all ages as long as they get enough protein and iron from sources such as nuts and seeds (protein sources) and dark green vegetables, beans and lentils (iron sources) and enough energy dense foods to support growth and development. If you are considering a full vegetarian lifestyle for your small people, then it’s important to check out your individual countries’ health authority guidelines for advice. But in the meantime, take a look at my Top 15 Tasty Vegetarian Recipes for kids. You might just be surprised at how yummy vegetarian meals can be! 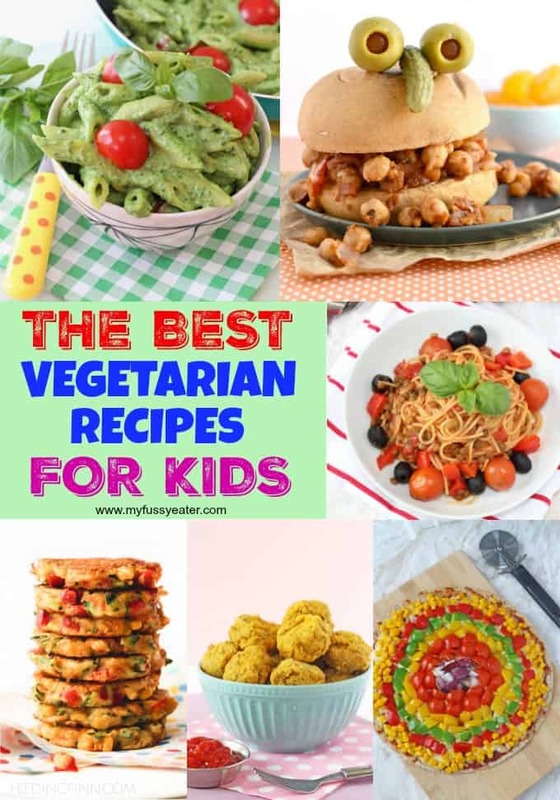 The Best Vegetarian Recipes for Kids! Thanks for sharing this. Great to have so many kid friendly vegetarian meals in one place to try out! Looking forward to getting cooking. Thanks so much for including my falafel sliders – there are heaps of delicious recipes here – can’t wait to start making them!